A friend recently shared this video from the Web site of IBN, CNN's partner in India. It's an extended report on Armenian food in Kolkata (Calcutta to Anglophones), prepared by some members of the city's dwindling Armenian community. Among the cooks is an Armenian priest who heads a still-thriving school, which was founded to preserve the Armenian culture among children born in India. Now only four Armenian students are locals; the rest come from abroad. In the video, Father Khoren Hovhannisyan shows a deft hand at making cabbage dolma, although he says he prefers grape leaves but laments the difficulty of finding them locally. His recipe isn't ours -- no tomato, no sumac -- but that's the nature of Armenian food from various regions. It's also clear that Armenians in India have adapted their cooking to local tastes, just as many of us have. 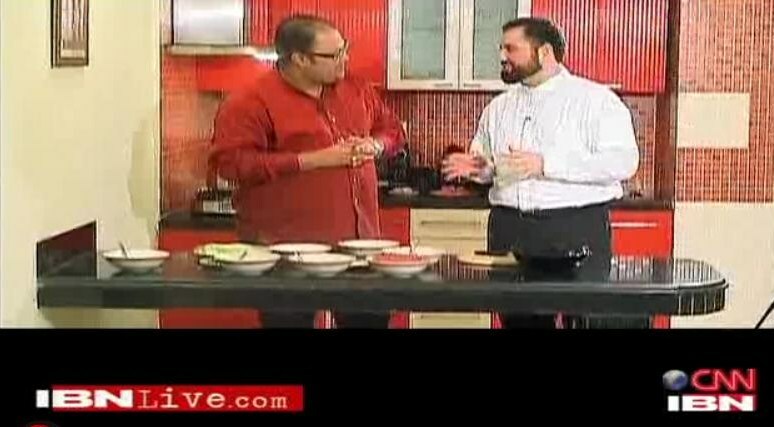 Another Armenian cook on the program surprises the host by adding Indian spices to his kebab mixture, explaining that his family recipe has been "Indianized." In all, it's a tasty slice of life in a fascinating place that shows just how much Armenians love our food. Thanks for posting this. Would love to know more about the Armenian community in Calcutta, and the way in which the foods have adapted to the new 'climate'! There is a Wikipedia article that talks about Armenians in India (http://en.wikipedia.org/wiki/Armenians_in_India). Also a website (http://www.chater-genealogy.com/). By the way, you should include Bangladesh in the term "India", since India, Bangladesh, and Pakistan used to all be one country. It seems most Armenians got to India as traders, stayed on and became rich in the jute trade, then left after Independence because of the backlash against jute traders, who were seen as British collaborators and colonialists. A friend of mine, who is Bangladeshi, actually visited the last Armenian church in Dhakka and the cemetery, with its tombs dating back to the 18th century.